I’ve lost 60 pounds and gained so much confidence. My life before SF was filled with a lot of insecurities, hiding, and doubt. 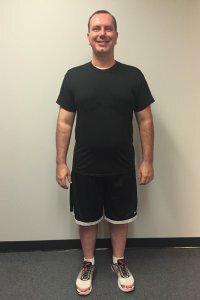 Since joining SF, I’ve lost 60 pounds and gained so much confidence. I have a new lease on life. I would definitely recommend SF. The support and knowledge is priceless. 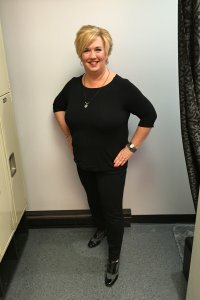 Going from a size 18W to a size 10 is only one of the reasons I love my gym! 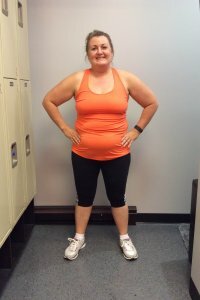 Going from a size 18W to a size 10 is only one of the reasons I love my gym! I’ve been at SF for 3 years and it’s always a new and different experience when I walk in the door. Every trainer has a different way of teaching and keeping you engaged, while making sure that all fitness levels are getting the most out of their workouts. The gym has become my “second home”, and the friends I’ve made have become family. Knowing I can walk in the door and get advice on anything from diet and nutrition to training tips to life in general is the best. I’m able to do more in my “outside the gym life” than ever before, and while I’ve worked hard to get where I am, and still have a ways to go, it’s been possible with Summer’s Fitness. The community of people – from office to trainers to members – is truly like a family. I’ve gotten results I didn’t get at my previous gym, and that is priceless. ...here I am, 5 months later and 34 pounds lighter! When I walked into Summer’s Fitness I thought “I have way too far to go! I’m too out of shape and old to old to do anything like this.” Thanks to Summer and my amazing trainers I’ve realized anything that’s worth having is going to push you out of your comfort zone and force change. And here I am, 5 months later and 34 pounds lighter! I love feeling healthier, stronger and more in control of my health than I ever have. Has this been a piece of cake? No way! Do I occasionally have cake? Absolutely! This journey Summer’s Fitness has shown me this healthy lifestyle can fit into my normal life. I feel like I have a family here! I feel like I have joined every gym out there! And for one reason or another I didn’t like them. The environment, the programs; but when I joined SF it felt like home! 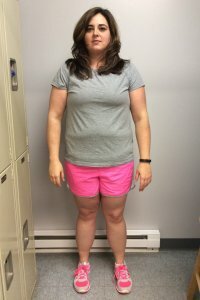 In 12 weeks I’ve lost over 30 pounds and I have to buy new pants! The instruction, structure, support, and staff are the best. I wouldn’t have achieved these results anywhere else! 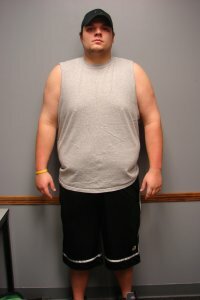 The 30 minute classes at Summer’s Fitness have helped me in losing 120 lbs and around 15% body fat. I train with weights then finish off with a half hour bootcamp session. I like to be challenged, and even as my fitness level has improved, the classes are still challenging and rewarding. Summer’s Fitness has helped me achieve my goals through support and accountability. The staff is awesome and everyone is always encouraging each other to succeed. 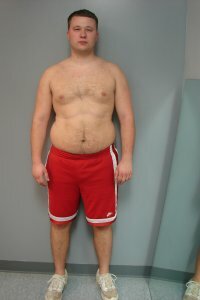 I’ve lost 30 pounds, 17.5 inches, and 8% body fat with the support and guidance from the trainers! I’ve belonged to several gyms in the past- but Summer’s does not feel like a gym. Everyone there truly cares about you & your goals. No one is just a number! This is the best fit for me. I’ve worked out for years & I can’t believe my results working out 30 minutes a few times a week! What I say, Summer’s is awesome from the environment to the instruction. If you want results you go to Summer’s Fitness. 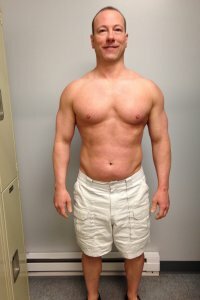 I have been working out at Summers Fitness for over 6 years. I started out doing one-on-one workouts with a personal trainer and then expanded to multiple boot camps each week. Because I am not very good at working out on my own (I get totally bored and don’t push myself as much as I should) I really prefer working out under the supervision of Summer’s instructors. They absolutely know how to push me to where I need to be all the while keeping it fun and engaging…all the time, every time. The only thing missing is an oxygen bar! No more headaches and I have so much more energy! “30 minutes a day is all you need.” I did not believe Summer when I heard her say this, but thought what the heck, I’ll try it. And she was right! Before Summer’s Fitness, I thought, at age 51, this is just the way it is. I was a size 18W. I had reached a point in life that I could not see any changes so I basically gave up. Thanks to the 30 minute classes, nutritional guidelines, and motivation from the staff and trainers I not only lost 24 pounds, but I was able to fit into a size 14 pant! My joints no longer hurt when I get out of bed, I am sleeping better, and I swear my memory is better! No more headaches and I have so much more energy! Summer and her staff are amazing and deserve all 5 stars. They have created a fitness environment that speaks to all facets of health and wellness – mind and body. This is why Summer’s Fitness members get results and this is what makes them different from any other fitness facility in the area. 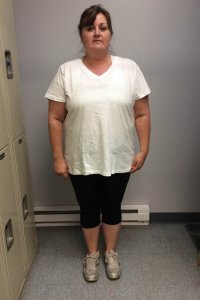 Lisa has lost over 17 pounds and nearly 20 inches! 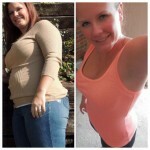 Before joining Summer’s Fitness, Lisa felt overweight, tired, and out of shape. She was becoming self-conscious of her body image, but that’s all changed in the 5 months she’s been at our facility! Lisa decided to make her health a priority, and often attends the 6AM classes because they fit best into her busy work schedule. 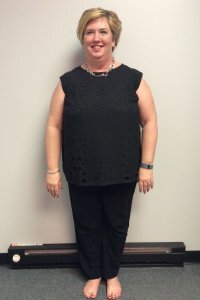 Her diligence has paid off; in less than 5 months, Lisa has lost over 17 pounds and nearly 20 inches! 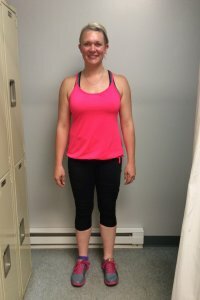 “I feel the boot camp workout coupled with weight training has made the difference in my success,” says Lisa. 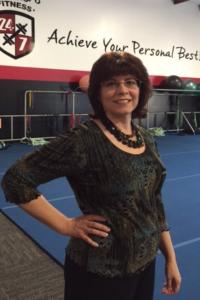 “I feel energized, happier, more confident… and lighter!” Keep up the good work, Lisa! 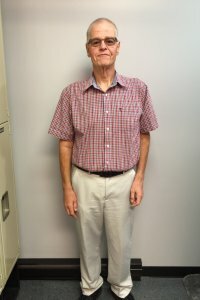 Bobby, a competitive bowler for over 35 years, says that “the years have taken a toll on my body.” To offset the constant soreness he experiences in his shoulder, knees, ankles, and wrist, he has begun taking classes and working with trainer Devin one on one. 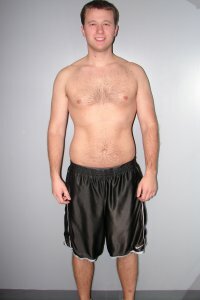 He is seeing some positive results, boasting losses of 3 lbs., 2% body fat, and 3 inches overall! “In just the short time I have been with Summer’s Fitness, I feel I have more energy for activities, and I have noticed a better range of motion and flexibility.” Great job, Bobby, and good luck with your quest to compete on the PBA 50 National Tour next year! Everything in moderation, be consistent, and stay determined! Both [Cari's] energy and confidence levels have skyrocketed! Working as a server at a local restaurant doesn’t always make it easy for college student Cari to make good food choices, but with the support of the Summer’s Fitness staff, she keeps herself on track. 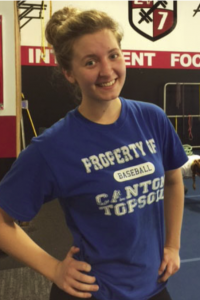 Thanks to her nutritional plan, 30 minute classes (her favorite class is kickboxing! 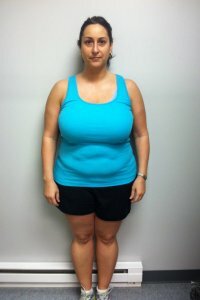 ), and small group personal training, Cari is seeing results! 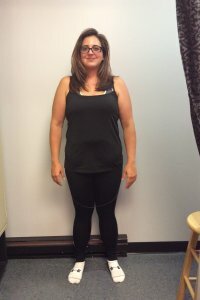 The structure and guidance have not only helped Cari lose inches and gain strength, but both her energy and confidence levels have skyrocketed! Keep up the good work, Cari! You are amazing! 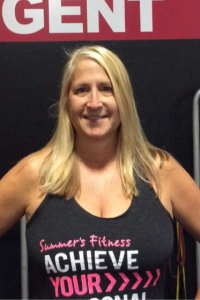 Kathleen has been a member of Summer’s Fitness for over 10 years, and you might think she has discovered the fountain of youth! Instead, she has discovered functional fitness training, which has increased her strength, mobility, and energy level. 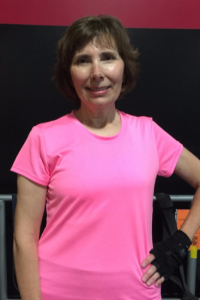 She has no problem maintaining an active lifestyle that includes working full-time as a physical therapist, keeping up with her 5 grandchildren, and gardening. Kathleen’s energetic and engaging spirit is an inspiration to us all. Congratulations on achieving your personal best! I've lost 2 pant sizes! My training sessions are never boring and I love the different ways of exercising specific muscles without just ‘lifting weights.’ Thanks to Summer’s Fitness, my clothes definitely fit better – I’ve lost 2 pant sizes! I am able to get through my day without feeling like I need to take a nap! I don’t find myself asking for help to move heavy objects! It’s hard to explain all the ways exercising has improved my daily life…everything from laundry to yard work is so much easier. It’s feeling better and living a healthier life. At 54, Summer’s Fitness has gotten me to and helped me maintain the best shape of my life! I have also made many friends here who push me to run faster, lift heavier, and push myself during class. My favorite is the Sunday bootcamp with Steph! Although losing weight has been a great accomplishment, I feel like my biggest accomplishment would be quitting smoking. I quickly realized there is no possible way to smoke and exercise. I was able to quit cold turkey and found that the more conditioned I got, the easier it was to stay away from the cravings. 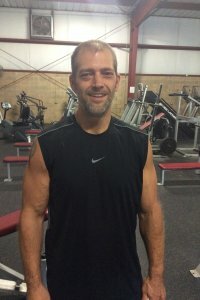 I don’t think it would have been as easy to quit if I had started in a different gym! I also have a ton of energy that I didn’t have before. I have goals that really keep me pushing and excited about life. In fitness, there are an unlimited amount of goals you can set for yourself; lift more, run faster, work harder. I never thought I could be so pumped up about fitness! 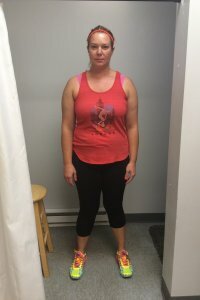 In just 5 weeks I lost 16 pounds, 9 inches, and 3% body fat – and I’m not done yet! The other members are really supportive! I thought I would have to spend hours at the gym to lose weight. I learned that when I work out correctly and applied the nutrition plan, I don’t need to spend hours at the gym. I have gained so much confidence in myself. I am a healthier person inside and out and have become a better mom. I love making healthy meals for my family and started experimenting with new foods! Initially, I thought that I would feel intimidated in a gym, that I wouldn’t fit in or keep up. 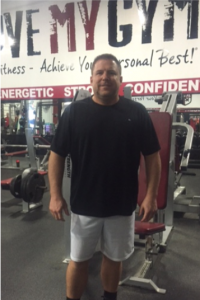 But the staff and members at Summer’s Fitness have always made me feel comfortable and welcome. I enjoy gardening and being active with my family and grandkids, and exercise has helped me continue to be able to do that. They know what they’re doing! The people who work here are amazing, supportive, professional and I’ve had never had this kind of help and support at a gym before. I have been training with Summer Montabone, C.S.C.S., for over 10 years, well before she opened Summer’s Fitness in 2007. Prior to working with Summer, I had spent little to no time in a gym, and she taught me not only the importance of weight training and cardio exercise, but also the importance of proper form and technique. 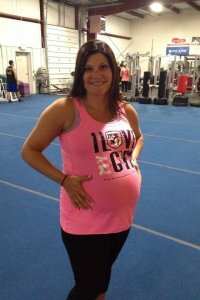 I am now a proud member of her staff, working as a bootcamp instructor for one of the many fitness classes offered each week. Summer’s experience as a former teacher is invaluable to her clients’ well being, as she trains them holistically, focusing on the physical, nutritional, and emotional aspects of good health. 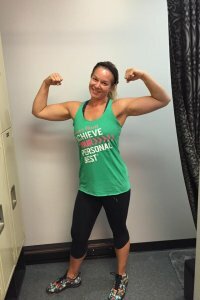 Since opening the doors of Summer’s Fitness, Summer has amassed hundreds of happy clients through her varied program offerings: Team VIP (competition prep and training), My Speed Coach (speed and agility training for school, amateur, and professional athletes), personal training (individual and group), group fitness classes, nutrition, wellness coaching, and more. The facility, with more amenities than any other in Stark County, is home to a variety of clients with varied levels of fitness and needs, and all are treated with personalized customer service by an educated and professional staff. Summer’s Fitness lives up to its mission to help all clients achieve their personal best! I have been working out with Summer and her staff since 2007 and have never considered training at another gym since. 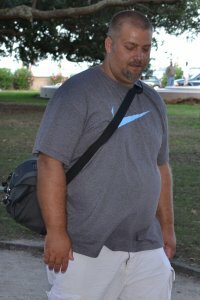 I have participated in group training and bootcamp classes. The trainers i have worked with are qualified, personable and encouraging. I have never had a workout that was not challenging and enjoyable. I have never had a boring workout. Even after 7 years, the trainers still find new ways to get the job done. 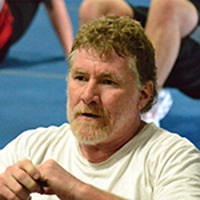 I especially appreciate the individualized help in group training sessions and bootcamp classes. I have recently been rehabbing an injury and all of my trainers have been willing to accommodate my personal needs! I first went to Summer’s Fitness about this time last year. After 3 knee meniscus surgeries, accompanying hip problems (that were getting worse), frequently short of breath and 30 pounds overweight; I told my wife it was time to make it or break it. 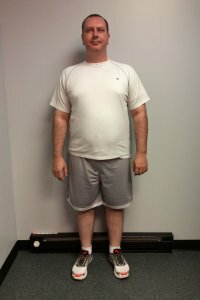 To my surprise, after 6 weeks my knees and hips were not giving me a problem and after 5 months I was down 30 pounds. Best of all, now turning 65 my wife told me I look fitter than when I was 35. 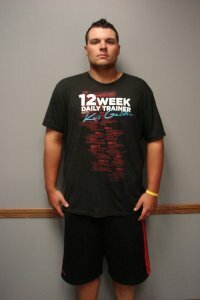 After only 6 months I went from 215 pounds to 188 pounds and [lost] over 15 inches. Great staff and caring professionals all focused on your individual success. Considering getting fit, losing weight or just getting your wind back – give Summer’s a try – they sure did wonders for me — perhaps you will experience the same results. Dealing with lupus has definitely made some of my workouts more challenging. Summer’s Fitness has helped me reach my fitness goals by giving me all of the tools I needed. I love the training, the self-guided workouts, the nutrition plans, and the support I receive from the staff and the members! The worst part of exercising in the winter is getting out of your warm bed! But knowing my trainer will be there at 8am ready to go with lots of great exercises keeps me motivated! I have pushed myself to do things I never thought I would do like plate push 45lbs!! But my trainers are encouraging & always helping me reach a new milestone! The best thing about belonging to Summer’s Fitness is that you do belong! The support from not only the trainers, but from fellow members as well, is wonderful and keeps me motivated. The trainers have helped me tremendously with killer – but fun – workouts! That in addition to getting nutritional guidance has helped me lose almost 35 pounds in less than 8 months! 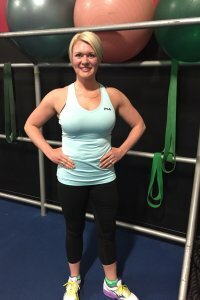 I selected Summer’s for opportunity to work with a personal trainer in an environment that provided a non-pretentious, clean, well equipped gym with a knowledgeable, professional and courteous staff who takes the time to understand each individuals needs, desires and physical status into consideration. 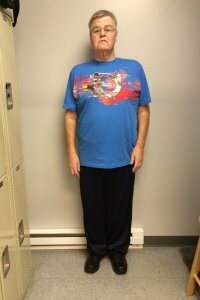 I have worked with Tim for 6 weeks and have benefited from the overall focus on a total body workout with my particular physical ailment in mind. He takes his time and allows me to address my limitations from a long time back injury. I cannot say much more than I look forward to each session with my personal trainer and the variety of physical challenges I am given. I am stronger, more flexible and feel better since beginning this program at Summer’s. 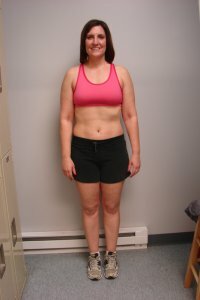 In 12 weeks Anne lost 18.06% body weight and 9.7% body fat! It was challenging and fun at the same time, but it’s worth it. I was so excited to see my abs!